“We are incredibly pleased with the work that comes back from PA Business Support and would not hesitate to recommend them...."
"I am fully confident in the services that the team at PA Business Support provide. They are honest, reliable and most diligent when dealing with any aspect of my business..."
"Since signing up with PA Business Support I have experienced a huge surge of momentum…My only regret is not having called PA Business Support much sooner." We are a boutique recruitment firm offering executive virtual PA support for companies based in London and internationally. With over fifteen years of combined experience, Sophie Burnett and Sabina Hinchliffe are leaders within the executive PA and recruitment market. Our team is highly customer focused and offers professional and quality solutions to your executive business needs. If you want to spend more time on the growth and development of your business please contact us today. PA Business Support offer an excellent virtual support service which I would highly recommend to anyone that requires a more flexible approach to their administrative office function. Jo and Amanda who support us are proactive, diligent and are effective representatives of our company, Capital City Training. It is my view that the success of PA Business Support stems from their ability to place the right team members with the right client and their commitment to client satisfaction. 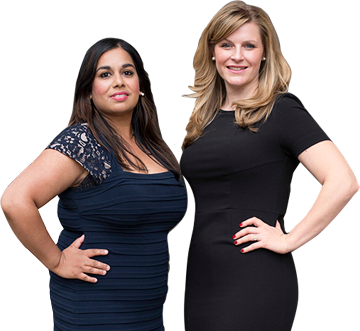 Sophie and Sabina are a powerful force behind their business and will continue to be a success in their industry. We thoroughly enjoy working with them. Sabina and her team supported my business in 2014. I am a small Independent Publisher based in London and my administrative burden is high and stressful! The Virtual PA was proactive and full of energy for my business from the offset. The output from using PA Business Support is of a high standard and I would recommend any small business to think wisely about their time and where their priorities lie. Having a Virtual PA was so productive for my business I would use them again in an instant. I rely on PA Business Support to manage all my administrative work load. The peace of mind I gained as a result of their diligence, initiative-taking and attention to detail allows me to free my attention to work on my business. I encourage any executive who needs managing (as I do) to use PA Business Support. Over many years of being in business I have always had the task of seeking our tried and trusted companies that offer certain services. When it comes to trusting people to look at confidential material and setting up a CRM system I had to be sure I was picking the right person. I was extremely pleased with the results that have been achieved regarding this project and would not hestitate to use you again or recommend you. We are incredibly pleased with the work that comes back from PA Business Support and would not hesitate to recommend them. They are fast, skilled, a pleasure to work with and, on occasion, a virtual godsend! I am fully confident in the services that the team at PA Business Support provide. They are honest, reliable and most diligent when dealing with any aspect of my business. I wouldn’t hesitate to recommend them to my clients.